Lisa loves John: Happy, Happy Monday! John and I had a great weekend, and we hope you did too! On Saturday we visited Scout at her puppy bird camp, and it is very clear to us that she does not miss us one bit. We had her rattlesnake trained which was a bit traumatic to watch, but other than that, she only had one thing on her mind... running around and finding birds! Scout showing us her bird coop! On Sunday we went to our church's "First 5" class which is a Sunday school class for young couples in their first five years of marriage. The class was wonderful, and we were so surprised with how many people were there - it was packed! We look forward to getting connected and meeting people. After church we went to Barnes and Noble and then had a sushi lunch - it really doesn't get much better! By the way, as many know, the pumpkin spice latte comes out today, and I for one plan to indulge! To be honest, I don't think they taste that great but I can't help but enjoy the festive-ness of them! What a wonderful bible study class. 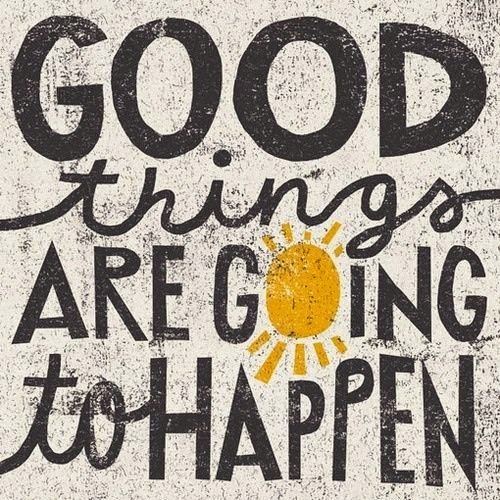 Love the quote, happy monday! Oh I love PSLs! I cut out coffee so you'll have to have an extra one for me this fall!! 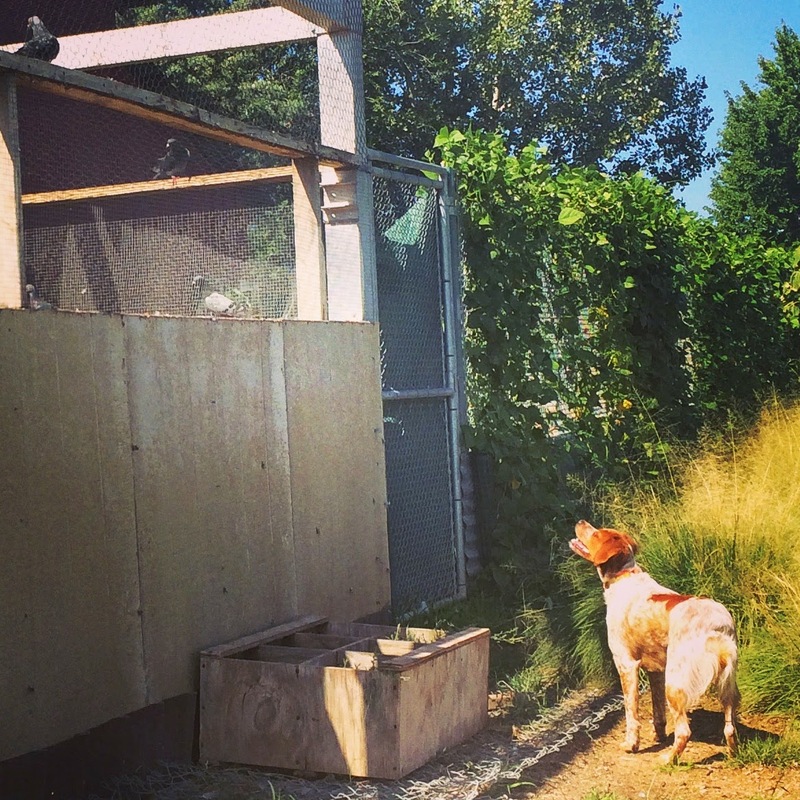 I never knew you could have rattlesnake and bird training for dogs! I guess that is a really good idea where you are at with the snakes... eek! What a nice Sunday school class! I'm so ready for all things fall but I'm holding myself back for one more week! What a great Sunday School Class!! We joined a small group this weekend with that same concept. Happy MOnday!! I am holiday obsessed, but I have rules.... No fall stuff til September 1st! Enjoy your PSL a week early! Glad you got to go visit your pup! Sounds like you had an awesome Sunday! Sounds like a great way to meet some new friends! Glad you had a good weekend. Yay for the PSL! 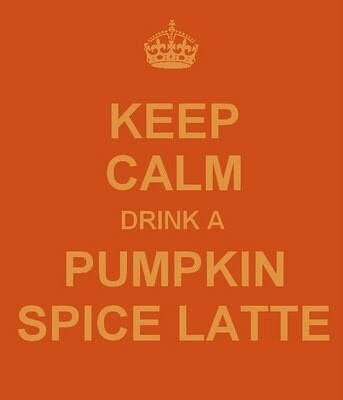 I cant possibly indulge in a PSL when it's still so warm out -but I will be having one soon!! Sounds like a perfect weekend!! I'm sad about PSL because that means my peach green tea lemonade leaves... boo! What a great Sunday School Class! We have thought about training our pup like that, but man, I don't know if I could leave her!! Haha! I don't like PSL at all, but I am right there with you on the festiveness of it all! Bring on Fall :) Happy Monday girl! Sounds like a great weekend. Oh, bird dogs they're always on the hunt. haha, me neither! But, the psl is just a right of passage...it wouldn't be a new start to the season without one. Scout is just so cute! I do love pumpkin spice lattes :) happy Monday! I'm glad Scout is doing well, she is too cute and that class sounds like such a great idea! I was running late for work this morning so I didn't get a chance to stop at Starbucks for my PSL but I'm hoping to tomorrow, glad you had a good weekend! Ha, I really don't like Pumpkin Spice Lattes and I feel so left out! I just may have to get a PSL today after dropping our pooch off at the vet and groomer. You inspired me hehe. Have a good week! Sounds like a great weekend! I love the idea of a First 5 class, I wish our church would do something similar- it sounds like a great way to meet people in a similar spot in life! That's great that you got to visit Scout :) I love pumpkin spice latte's but I'm not ready to admit fall is coming, so I think I'll hold off for a while before I get one!